For the last year or so, I have been following two interesting classes of molecules that have garnered a great deal of press in the therapeutics space. These are macrocycles and constrained peptides, and they have enormous potential to treat diseases in a number of unique ways. Due to their size (they fall somewhere between small molecules and biologics), and their ability to access previously “undruggable” targets, this class of compounds has caused a recent explosion of big pharma, emerging companies and investors pouring resources into validating these molecules. At least 12 companies are currently developing these therapeutics, and several dozen research collaborations have been formed with big pharma since 2009. This upsurge in activity would appear to indicate that we are entering the early stages of an R&D cycle that will lead to a host of clinical trials and at least a few blockbuster drugs. Getting in now could mean big rewards down the road, but as any savvy life science investor knows, the promise of the next big thing often leads to broken promises and a meager return. History is a compelling teacher, so let’s look back and remember some hope and hype associated with the next big thing. In the 1990s and into the early 2000s, regenerative medicine and tissue engineering were supposed to allow us to repair or replace damaged tissue and organs. After failed clinical trials and disappointing financial returns, the sector matured, and has since progressed at a measured pace toward developing products and therapies. Similarly, every few years new targets appear in the literature and a rush of companies are formed or refocus their efforts to push the first products through clinical trials and onto the market. One of the reasons is because there are so few druggable candidates remaining for which companies can develop game changing therapies. I understand that executives and investors see the potential for the big ROI and are willing to take the risk. Unfortunately, having so much hype results in overvaluing companies where the fundamental science just isn’t that well understood. Sometimes, a sector may be 3-7 years away from turning out therapeutics that can pass the clinical review process. Don’t get me wrong, macrocycles and constrained peptides have a HUGE upside. The science has been relatively static, stuck since the discovery of the first macrocycle therapeutic, cyclosporine, forty years ago. In recent years, advances in synthesizing and screening macrocycles have allowed research to progress at a rapid pace. These compounds have the potential to be formulated as oral pills for untapped intracellular targets. I repeat, oral pills for untapped intracellular targets! If this proves to be the case, the potential markets are enormous. From a pragmatic side, the reality is that every company developing macrocycle-based therapeutics is aiming for the low-hanging fruit of extracellular targets. This gives the companies less risk, but also lowers the disruptive potential of the products. Another significant problem is that it is relatively easy to develop in vitro assays to screen for potential hits. However, it is yet to be determined how to correlate the in vitro properties of the compound with its pharmacological properties. Basically, these compounds may look like great initial hits, but fail miserably in clinical trials due to poor drug distribution, clearance rates, and cell permeability. What we have learned in the past may well be applied to current and future trends in drug development. Macrocycles have a real chance to treat diseases and make a lot of money, but we’ve heard that promise before. The message? As always, have top-notch due diligence, and never let the hype outstrip the science. 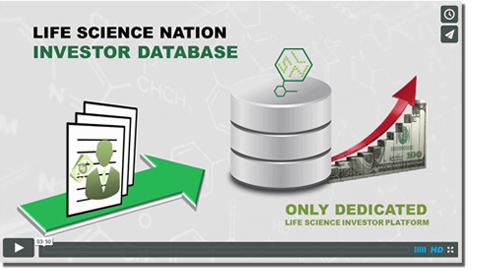 ← LSN Database Feature: Discovery Stage Deals Becoming More Plentiful with Better Terms; CNS a Hot Indication Area.